My congratulations! If you're an owner of a brand new stylish iPhone X, you are probably thinking how to transfer all your information to it from an old device. It is possible and won't cost you lots of time. My walkthrough article will teach you how to migrate to a new device as fast as possible. Before we start and you choose the most comfortable way for you, I'd like to mention that there are several ways of migration from one device to another. All of them have something common. They will require creating a backup and restoring to a new iPhone. iCloud is the most usual way people often use, but I want to focus on iTunes backup. The cause for it is a great amount of multimedia files all of us store on our iPhones. Working with iCloud may require a plenty of time and efforts, while doing that with the help of iTunes will be easier and faster. You can be sure that all your data will be saved and you will use it the same way as on your old iPhone. I took iPhone 7 and iPhone X as examples, nevertheless, this manual will work for other models the same effectively. So, if you have iPhone 5, 6, SE and others, it will suit you as well. My instructions shows the whole process of transferring data on a Mac, but if you have a PC, get iTunes for Windows and follow the same steps. Plug in your old iPhone with a USB/Lightning cable. 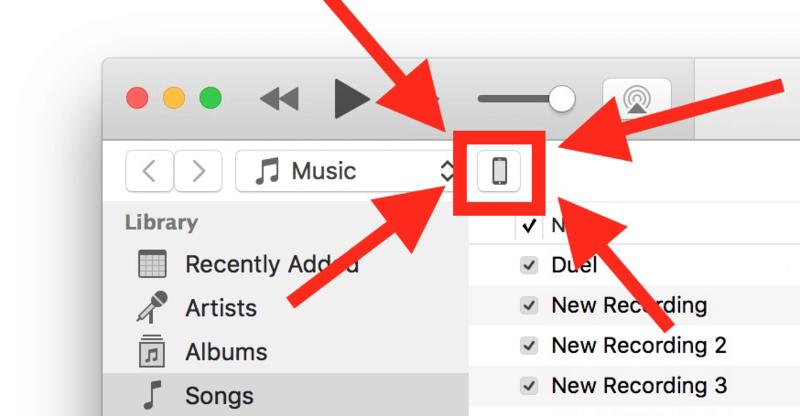 Run iTunes and click the iPhone icon at the top of the iTunes menu. It will appear as soon as you connect your iPhone to the computer. Select the 'This computer' option under the 'Summary' section and proceed with 'Encrypt iPhone backup'. Then click on 'Back up now' button. ​Wait until backing up comes to its end. Make sure it has completed beforegetting to the next steps. Take your new iPhone X and proceed through the onscreen setup procedure. The device will tell you what to do, just follow its tips. 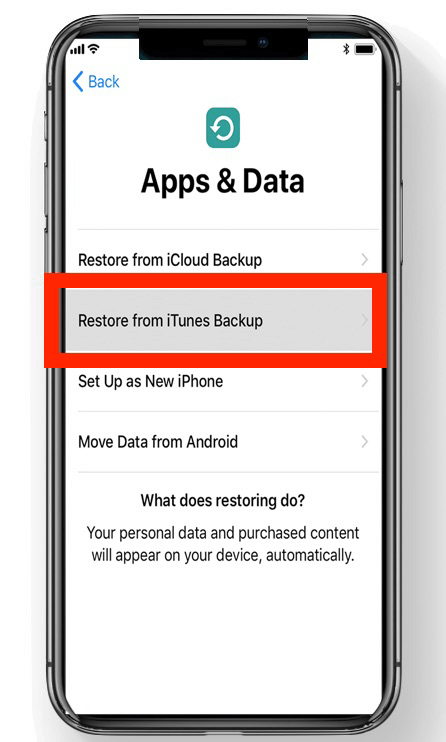 As soon as you get to the screen called 'Apps & Data', select 'Restore from iTunes backup'. Now, you can connect your new device to a Mac or PC with iTunes. On an iTunes screen named 'Welcome to your new iPhone', select the 'Restore from this backup' option. Choose the backup from an old device you've just created, click 'Continue'. After the process is finally complete, take your new iPhone X and go through the necessary setup steps. 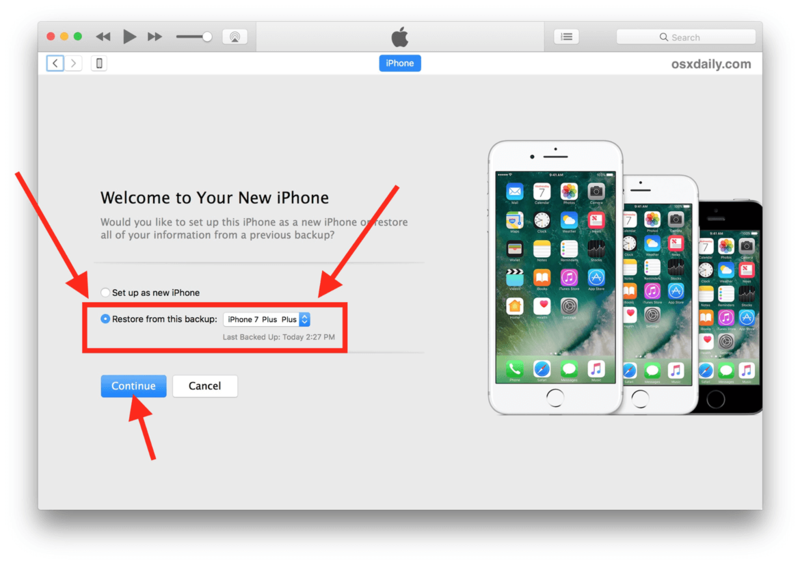 Keep in mind that new iTunes versions (12.7 and later) won't restore applications, but will automatically download their latest versions from App Store during the process. If you want to save your apps, you should ask App Store support for an older iTunes version, but it seems to me that they will close such an opportunity in the nearest future. It is better to hurry up. Now, your iPhone X is ready, and all your data has been moved to it from your old iPhone. Enjoy your new device with all your contacts, pictures, photos, videos, app data and everything you need on it. If you've done everything correctly, all the data should migrate successfully. You should select the 'Encrypt iPhone backup' option in order to save your logins, passwords, health and account data, etc. 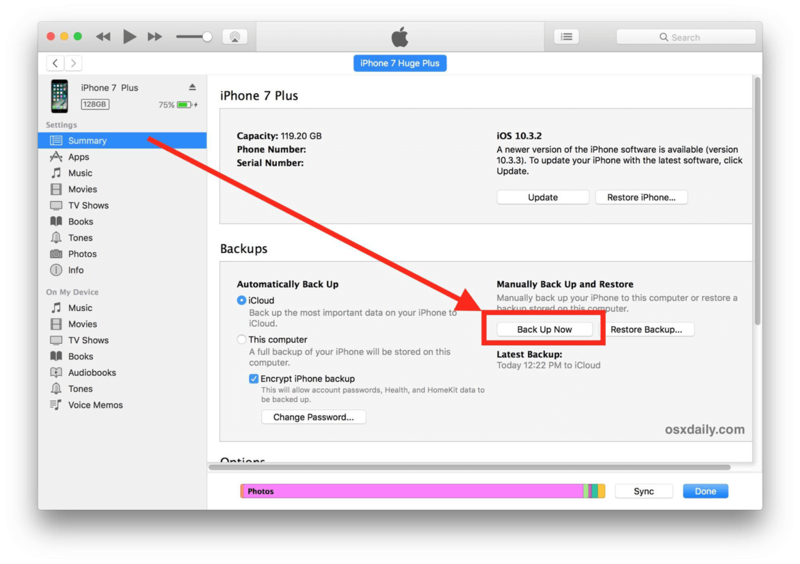 When we use iCloud for backing up, it always encrypts the personal data by default. As for iTunes, you should choose this option manually, other way your backups will remain inaccessible. You may use iCloud for backing up, but remember that your tons of files, multimedia and other data will be transferred via Wi-Fi connection, so it will last for ages, and USB connection is faster and will save you lots of time. Surely, there may be exceptions from the rule, for example, people who use ultrafast Internet services, but monopoly providers don't usually often such an opportunity and the connection is not ultrafast, it can be really sluggish sometimes, this is true to all the US providers. So, backing up and restoring via iCloud can be not the vest option. What About Using iCloud for Migrating Data to a New iPhone X? 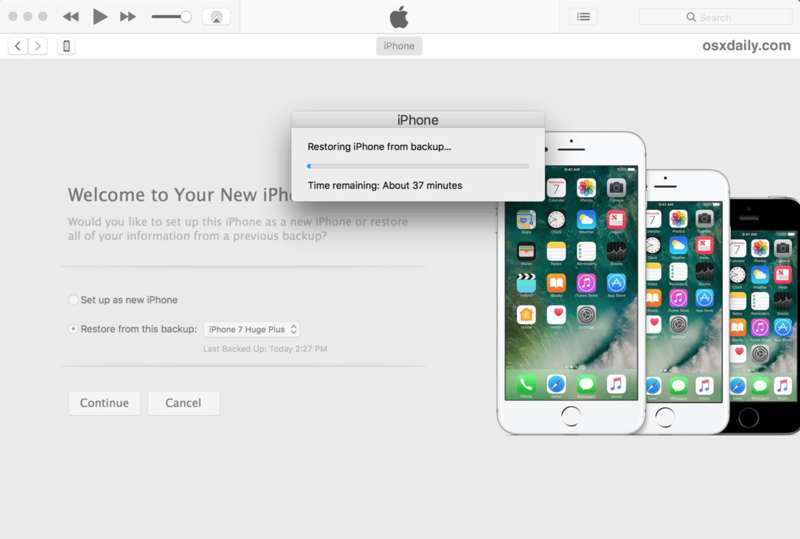 If you don't want to make it with iTunes, you may use iCloud for backing up and restoring on your new iPhone X. Take the same steps I've described above, but instead of iTunes, choose iCloud. After creating a backup, try to restore iPhone X from this iCloud backup. It is up to you to decide which way to choose, but keep in mind that for iCloud backups you need to have a fast and reliable Internet connection. Otherwise, your backup will fail to create or to restore. Remember I told that iTunes took me around one hour to complete all the things? This is what iCloud messaged… It said that restoring my iPhone X will take 45 hours! Just imagine this huge amount of time. A tip: iPhone X also offers a 'Quick start' setup that uses iCloud backups by default. It requires all your devices to use iOS 11 or later. However, as I've noticed before for several times already, iTunes will be much faster. I hope you won’t have any problems with migrating to your new iPhone X. If you have any questions, please write them in the comments.